Happy Valentine's Day!!! I thought I'd post this before Saturday and before I forget to post it. I used Sizzix "sweet treat" die from the Life Made Simple line. 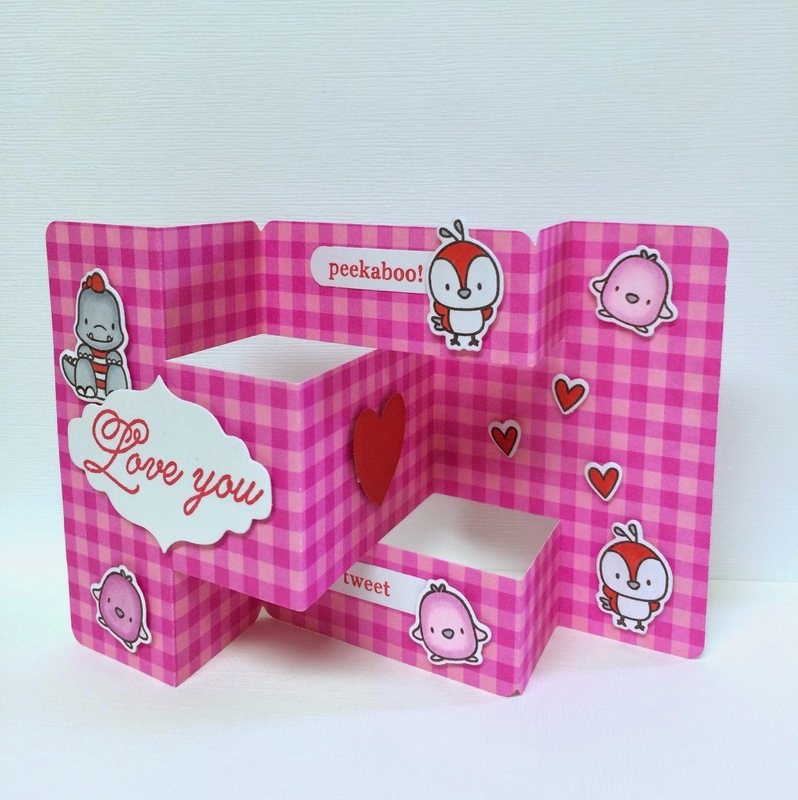 This was the first time I used Doodlebug's solid red card stock to make a box. I must say, it really is good card stock for making boxes with creases. Plus it matches all their paper. The size of the bag is perfect for small treats. I put a Ghirardelli chocolate and 2 tea bags in it. Thanks for stopping by today!!! Sorry this post is so short. Have a great holiday weekend!!! 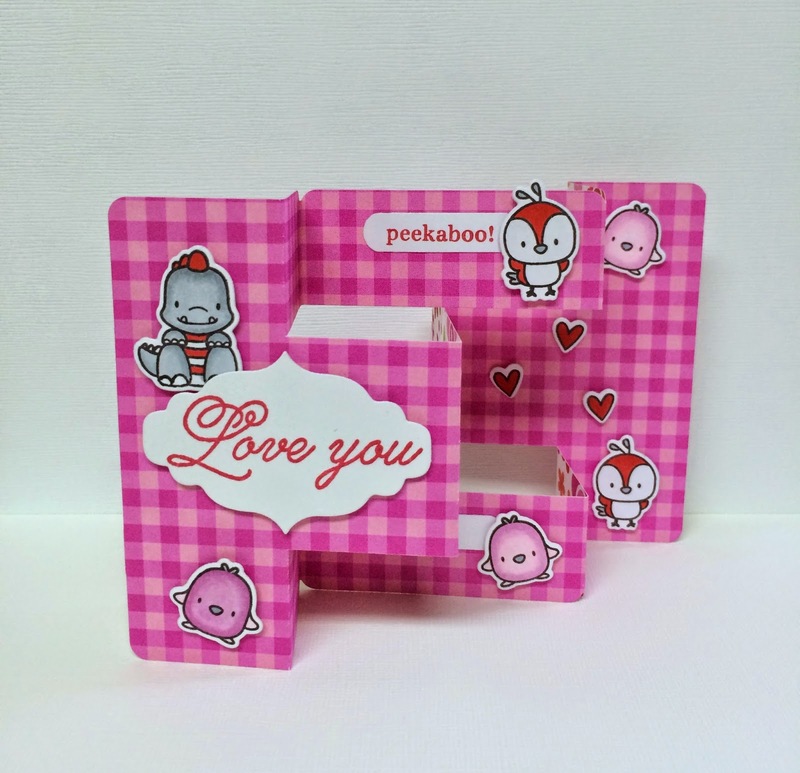 Valentine's Day is a week away so I thought I'd make another card using this new Sizzix die. It's from the Life Made Simple line called "tri shutter card". When you fold it up, it fits in a Project Life pocket page - 3x4 size. I used Mama Elephant's, "just hatched" clear stamp set with matching dies. I think it's an Easter set from last year but it is such a cute set. I couldn't resist. I love Memento Luxe ink. I used Lady Bug to stamp the sentiments. The color is so rich. And I posted it on Instagram and Mama Elephant reposted it. I was so excited!!! Lol! If you're on Instagram, please follow me @ccmiyashiro. Thanks for coming back and reading my posts! Have a great week!! !